It was a good story. Full of wisdom about success and pursuing a goal. But, it doesn't give actual practical techniques. 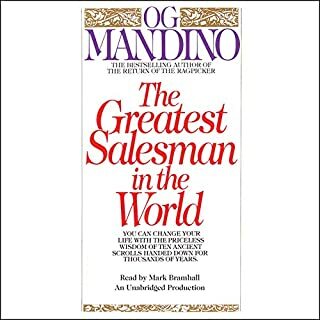 For a personal development newbie, it's nice... but for advanced students... it's very... "few". But has very nices quotes. 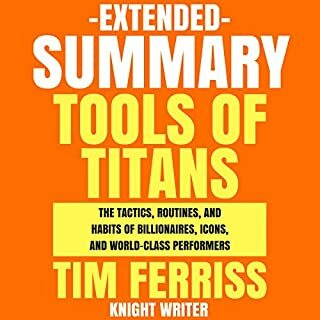 This audio program is a two-hour extended summary of Tools of Titans. Tim Ferriss shares the tactics, routines, and habits he learned from billionaires, icons, and world-class performers. Gostei muito do resumo. Não posso dizer que foi curto porque era um resumo. Fiquei curioso por ler o livro inteiro, pareceu-me conter boas dicas em todos os campos importantes para o sucesso. Tim Ferris sem dúvida que é um expert em performance de alto nível. Anyone suffering under the crushing weight of debt knows how impossible it can seem to find a way out. It's overwhelming - and the more complicated the proposed solution, the harder it is to stick with it. 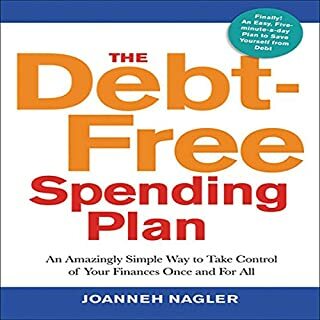 That's why The Debt-Free Spending Plan is simple. It doesn't require sifting through chapters of high-minded financial advice or digging up your past spending history. It assumes you need help right now, and gives it to you.